Brenda Leahy is the Supervisor of Medical Practices for South Lake Hospital, Clermont, FL. She is a native Floridian and has worked in the medical office field for over 20 years. 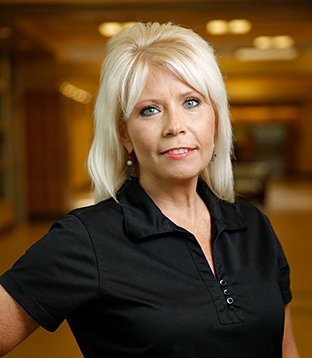 She has an extensive business management and insurance background, with certification in Lean Six Sigma strategies. Brenda studied at Lake City Community College and The University of Florida. She is a former member of the Physician Office Managers Association of America (POMAA), AUA Practice Managers’ Network (PMN), and the Florida Society of Clinical Oncology (FLASCO). She enjoys making every patient feel they are receiving the very best care from our physicians and staff. She is very passionate about what she does and wants to know that every patient always receives the most compassionate care. She loves spending time with her husband and children, is active in church and her community and enjoys baking.